To create a new organization login to the MSPControl and click on Organizations. NB: You have to add a domain for a new organization first. 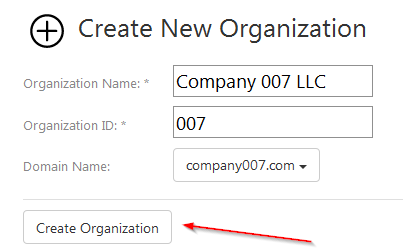 Type in the Organization name and ID, and then select a domain from a drop-down menu. When you're done, click Create Organization. Well done! A new organization has been created, and now you can see the statistics for it.